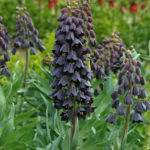 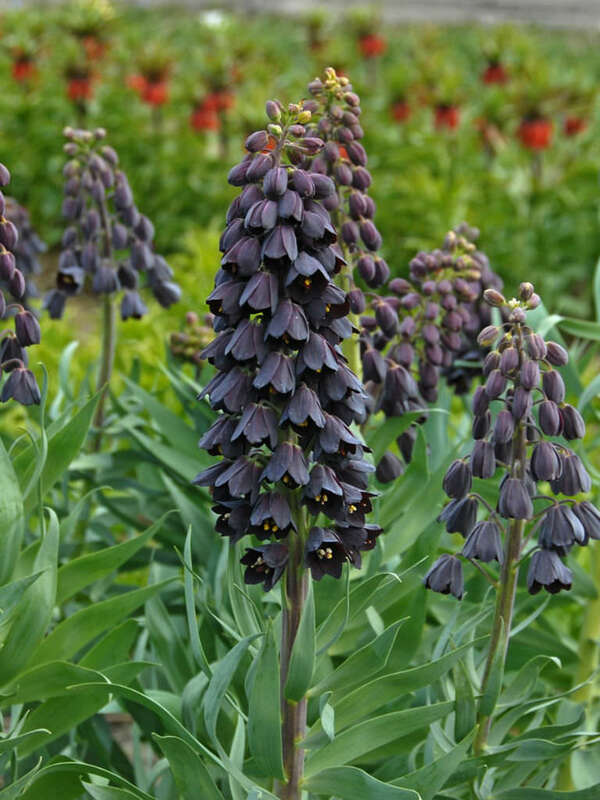 Fritillaria persica is a bulbous perennial that produces attractive racemes of plum purple to gray green flowers in spring. 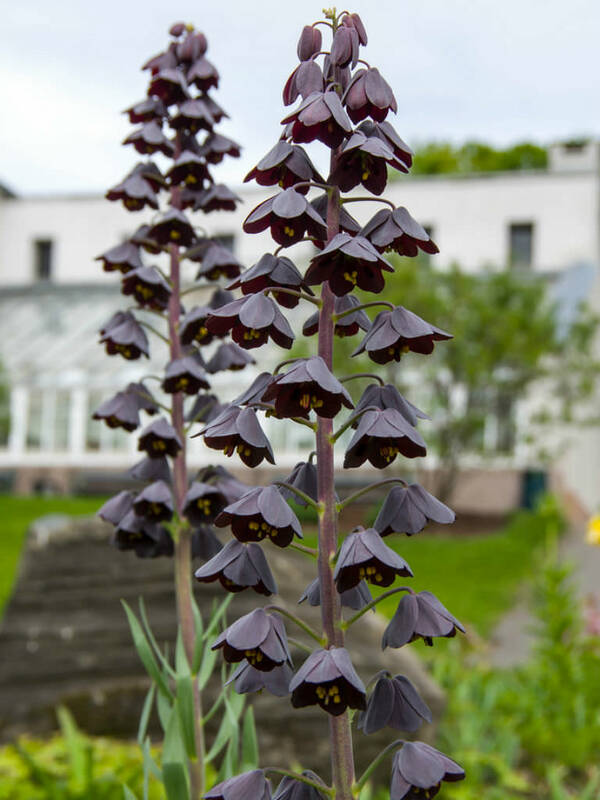 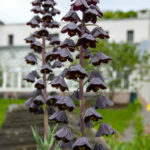 Each raceme contains up to 30 conical, nodding, bell-shaped flowers atop a stiff, erect stem rising to 3 feet (1.2 m) tall. 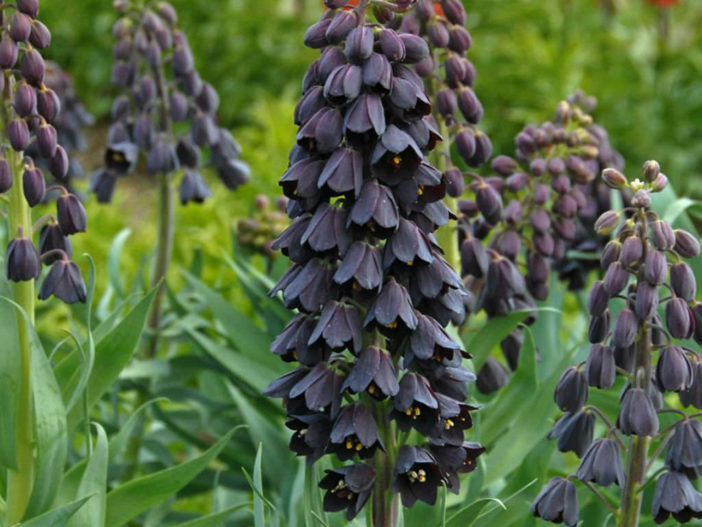 Stems are clad with glaucous, lanceolate, often twisted, gray-green leaves up to 5 inches (12.5 cm) long. 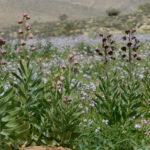 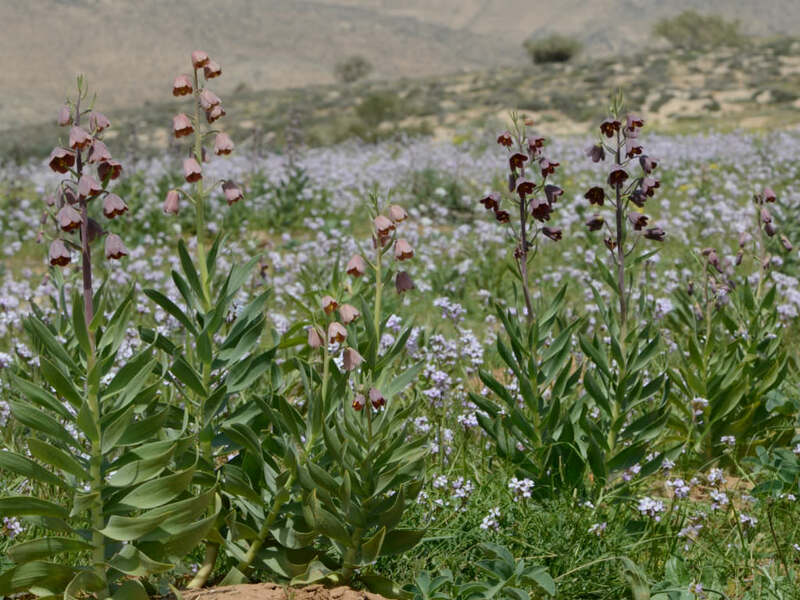 This species is native to rocky slopes in Turkey, Syria, Iran, Jordan and Israel.